It’s Friday and it’s a holiday which means it’s the perfect day to launch the start of something VERY fun and exciting and hopefully awesome on the blog. 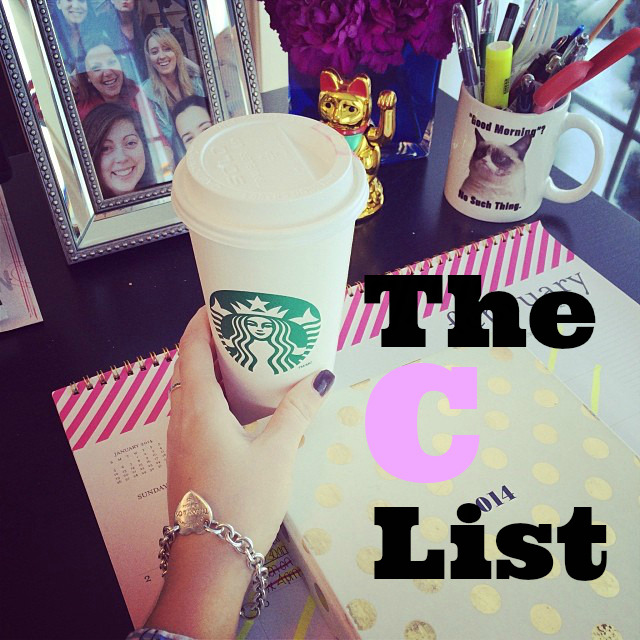 Introducing – the C List. I will be sharing the C List – a quick (but awesome) post sharing my favorite links from the week. From new must-watch movie trailers, to book reviews, to recipes or my must-have playlist tunes — the C list is sure to have something for everyone. You can also be sure that it will include sloths at some point. Or every week. One can never have enough sloths. So without further blah blah blah – here are this week’s must-click links. 1. 8 Clues From the Gone Girl Trailer (via Hollywood Reporter) I cannot WAIT for this movie. 2. A baby squirrel in a cast (via Huffington Post) You’re welcome. 3. The 29 Cutest Sloths That Ever Slothed (via Buzzfeed) All the sloths! Again, you’re welcome. 4. The If I Stay trailer is here and it’s gut wrenching (via Hypable) No really, have tissues ready.